Thank you for a great 2018 Race! The 16th Mossman Sprint is a USAT sanctioned event, don't miss this classic Connecticut triathlon tradition. Withdrawal requests must be received in writing via email to clay@teammossman.com without exception. All requests must be received 30 before race day to be eligible for a partial refund of 50%. Transfers or deferrals are NOT permitted. Photo ID Required, USAT Membership card required. 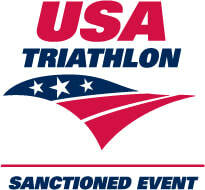 Otherwise pay the $15 One Day USA Triathlon license fee. Saturday Parking will be in the main lot for Calf Pasture Beach. Tell the attendant at the gate that you are there for the triathlon. 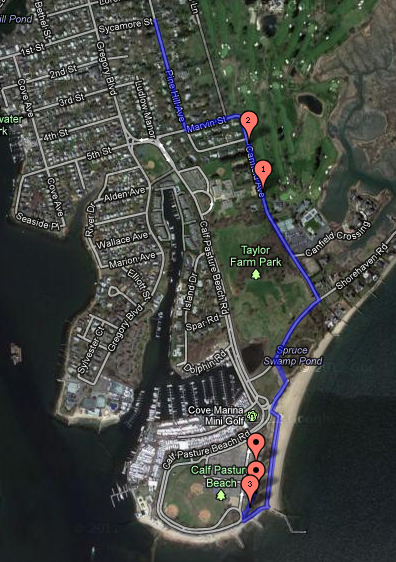 Race day Parking will be at Taylor's Farm which is a field across the street from the beach. There will be parking attendants and signs to guide you to the entrance. The walk to transition on race morning will take you 10 minutes, so plan accordingly. 13.5 mile bike is a two loop course that is mostly flat and marshaled by traffic police and volunteers. 3 mile run takes you through Calf Pasture Beach and into the local neighborhood. If you are interested in volunteering we could use your help. We offer $500 to volunteer groups of 20. This can be a great fundraiser for your church, boy scout troop or sports team. Looking for Fitness Training or Endurance Coaching? Personal Training in Hamden, CT with a focus on the individual. Multisports Academy (MSA) was founded with a focus on promoting personal fitness and individual empowerment within southern Connecticut. MSA specializes in Small Group Training, Personal Training & Triathlon Coaching. We would love to host you at an event soon! Multisports Academy is a personal fitness and endurance training gym in Hamden, CT and the home base for Team Mossman Events and Triathlon Club. Visit us today by clicking here.